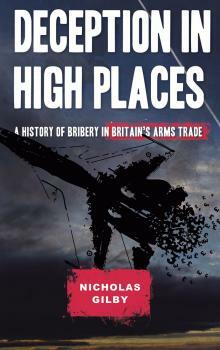 Like his earlier No-Nonsense Guide to the Arms Trade, Nicholas Gilby’s latest book is a well-written, easy-to-read information tool for activists, providing a comprehensive history of corruption in the British arms trade since the 1960s. Though it’s sometimes hard to keep track of all the players, this is more to do with the inherently shady, obfuscatory world of corrupt arms deals rather than any shortcomings on the author’s part. The multi-billion-pound Al Yamamah deal between the giant British arms manufacturer BAE Systems and the government of Saudi Arabia is covered in great depth. Gilby has done sterling research here, ploughing through acres of documents, and it is still shocking to read how then-prime minister Tony Blair caved into Saudi threats and terminated the serious fraud office’s investigation into that dodgy deal. The mechanics of how people were compensated are also highlighted. For example, BAE paid the British business travel agency Travellers World to provide benefits including travel, aircraft flight training and security services to a member of the Saudi royal family. It is also interesting to read about the different reactions to corrupt dealings by the US and the UK – while the Americans fined BAE $400m for their wrongdoings, the UK imposed a fine of only £500,000 – and Gilby raises some interesting questions regarding how an investigation into another British arms deal with Saudi Arabia will proceed. According to Transparency International, the arms trade accounts for over 40% of all the world’s corruption, and Gilby has provided a useful service in succinctly laying out Britain’s role in this. He concludes with a powerful section highlighting the social costs of this corruption for the populations of the countries involved, especially those in the developing world, and makes some concrete suggestions for how to counter it. All in all, this book would be a worthy addition to any anti-arms trade activist’s bookshelf.